I hope you don't mine that I make a suggestion. I think you can take more care with your framing. Sometimes it seems that there is too much empty space in the foreground and sometimes it is the opposite with something being cut off a bit at the bottom. I'm sure it is just a matter of paying more attention to your edges. It takes time to get sales and also takes time to refine what you are doing. I was about to say much the same thing! Too much uninteresting foreground in some of your shots. A case in point, your hospital image is the kind of thing that the papers use, but it would have much more impact had you got closer in and taken out the foreground that does not contribute. I recognise the problem because I have made the same mistake! I learned a great deal by looking out for Alamy photos in the papers and magazines, you can see see what sells. Look critically at the pictures, try to work out what makes them aesthetically and, more importantly, commercially attractive. I want to exchange lives with Olivier. That's a good shot, Andy. In NewYork, there's a long tradition of Irish firefighters. Thanks Ed - it was quite dark so was happy with how it came out. I love New York, must try and get back soon. I'll welcome you back to NYC in advance, Andy. All Alamy members are most welcome here. I am both a US and an Irish citizen, although born in Brooklyn. Some years ago in Sligo, I was introduced to a cousin, a nun who looked just like me. It was most disconcerting to see myself wearing the habit of a Sister of Charity. has neither caption nor keywords. I give you life !!! This lovely little water temple in Bali rarely gets a visit from tourists. It was a killer walking down the 80 or so uneven moss covered steps down to the lower level of the temple while dressed in a full set of temple clothes in full sunshine. Getting back up the steps, which have no rails, was almost impossible - one step was higher than my knees, I had to kind of crawl on to it and then try to stand up. Even though it was only around 9am, the light was very harsh and it was amazingly hot and humid. That's exactly why I love Europe and cold temperatures! Nice pics. Whatever floats your boat. I'm the opposite. Today is my last day deep in the Borneo primary rainforest. Rainy season, 100% humidity, about 34C, leeches and mosquitoes galore. Last night, we did a night walk through deep mud in the rainforest looking for tarantulas, insects, tarsiers and anything we could see. At one point, we got bitten by fire ants in the dark while ankle-deep in mud. Eery feeling. I came back with only one tiger leech (very photogenic). Guess what? I wouldn't change it for anything in the world. There's a bit of a story to this photo. We were in Tulamben, Bali, on 26 November when Mt Agung erupted, and were evacuated just 8 days into our 30 day dive trip. As the volcano was just behind our hotel, we could see the ash & smoke heading south, so we decided to head north, to a hotel we've stayed at many times. And we planned to rent our friends car there and do some diving in north Bali. When we got to the hotel, the seas were rough and dirty brown....compliments of a cyclone in Java. So diving was out of the equation. We'd already spend a lot of time on north Bali a few months previously, so most of the things on my photo list had been shot. After asking around, we learned of a couple of temple ceremonies over the next few days. So off we went, to a small village temple which had probably never seen a tourist before, and not being sure of timing of "the procession", we went quite early. As we were hanging around outside, the temple attendants were setting things up and one came over to talk to us and invite us inside (we always dress in temple attire when visiting a temple in Bali). He asked could he talk to us for a while as he was trying to improve his english skills as his wife had recently passed away and he had applied to "go on the boats" (meaning he wanted to work on a cruise ship), so we chatted for a while and he introduced us to Kadek, his 5 year old son. I asked would it be alright to take photos inside the temple, and also of his son, and received permission for both. Sadly, I had not taken any model releases with me........I always feel that would be invasive for people going about their religious duties. Anyway, young Kadek decided to go and play with the gamelan instruments and I got this lovely photo of him. Record store and other shops in Fan Tan Alley in Chinatown in Victoria, BC. 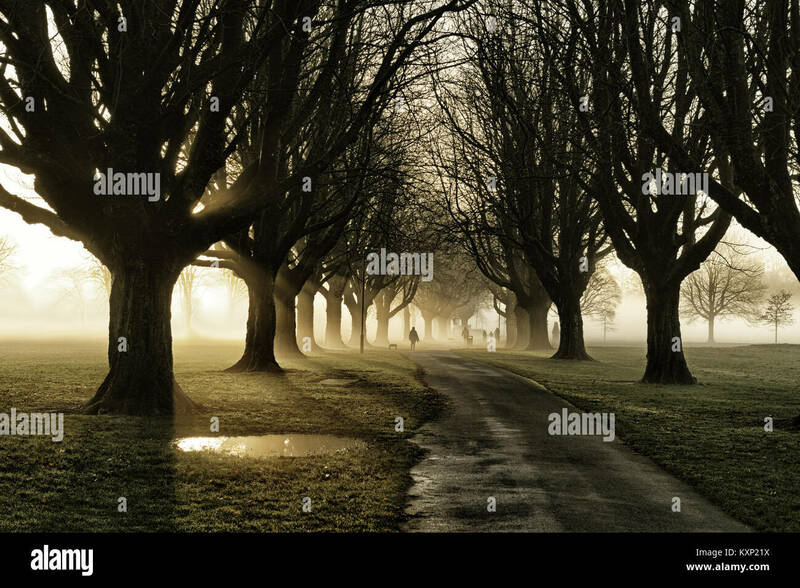 Set out to get the cathedral on the other side of the road, but the light wouldn't play nice so I pointed the camera down Llandaff Fields to ward off the despondency. Maybe one day it will be just what some client is after. No. 1 favourite this month so far is my faithful hound and Alamy subject Ruby. Not only the sounds but the SMELL of the rainforest. Hmmm.... Pure magic. Borneo is not to be missed if you're into nature and wildlife. Sadly, Sabah has only one remaining stretch of rainforest along the river, sometimes less than 1km wide. That is all the poor wildlife including pygmy elephants, proboscis monkeys, etc, have left to go. Let me know if you want some tips. Having a long list of destinations is exciting. Good on you!! Thank you Gen, I may well come back to asking you for tips on Borneo!! I really like this one. It's ethereal.